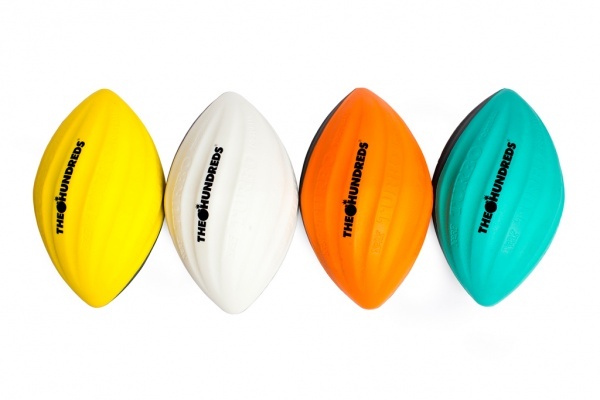 A collaborative effort between The Hundreds and Nerf, the Turbo Football is a new take on a backyard classic. Available starting September 6, the turbo football will be made available in Los Angeles, San Francisco, Santa Monica, and New York. Each store will receive just one colorway with yellow reserved for LA, orange for SF, seafoam for Santa Monica, and white for New York. With the purchase of every football, The Hundreds will also throw in a collaborative tee while supplies last.